Valid only at Wilde on Jaguar and Land Rover models. Does not include A/C system recharging. Tax, shop supplies & disposal/ hazard fees extra. Must present coupon at time of write-up. Not valid with any other offer or discount. May not be applied to previous purchases. No cash value. Dealer not responsible for typos or omissions. Expires 4/30/19. 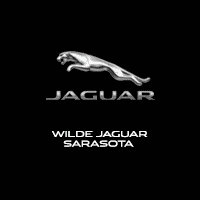 Valid only at Wilde Jaguar Land Rover Sarasota. Must present coupon at time of write-up. Tax, shop supplies & disposal / hazard fees extra. Not valid with any other offer, discount or previous purchase. Dealer not responsible for typos or omissions. Expires 4/30/19. Valid only at Wilde on Jaguar and Land Rover models. Tax, shop supplies & disposal / hazard fees extra. Subject to availability. Must present coupon at time of write-up. Not valid with any other offer or discount. May not be applied to previous purchases. No cash value. Dealer not responsible for typos or omissions. See your service advisor for details. Expires 4/30/19. Valid only at Wilde on Jaguar and Land Rover models. Tax, shop supplies & disposal / hazard fees extra. Must present coupon at time of write-up. Not valid with any other offer or discount. May not be applied to previous purchases. No cash value. Dealer not responsible for typos or omissions. Expires 4/30/19.